More than 20 local children have taken part in Cookie Elves 2017, a unique Christmas project in which youngsters bake homemade cookies and swap them for wrapped toys and gifts to pass onto local charities. 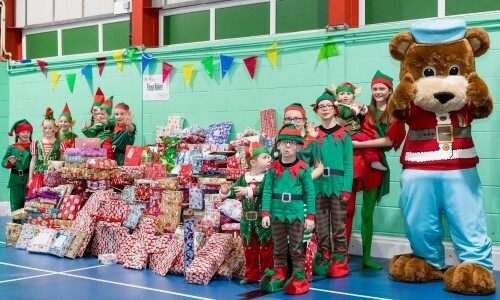 In its second year, ‘Cookie Elves’ 2017 saw 23 elves aged between one and fifteen collect a whopping 395 presents, with some still being donated, far surpassing the original target of one hundred and fifty. Over recent weeks, the elves each baked their own cookie batch before visiting family and friends dressed as Christmas elves to exchange them for gift donations, which were this year used to support four charitable causes across the Humberside region, including Winner (Preston Road Women’s Centre), KIDS Hull and East Yorkshire, Viking FM Mission Christmas and The Health Tree Foundation; the official charity for Scunthorpe, Grimsby and Goole hospitals. The cookie elves attended a special Christmas party held at Cottingham Sports Centre on Sunday 10th December, where they could each bring their present donations and enjoy some festive fun after all their hard work. This included a surprise visit from Scrubs the Bear, the charity mascot of the Health Tree Foundation, who popped in to say thank you to the Cookie Elves for their efforts. 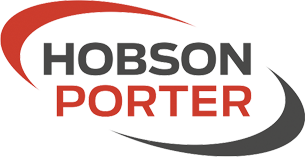 This year’s event was sponsored by Hull-based construction business Hobson & Porter, who funded the elves’ Christmas party, provided all the elves with a framed certificate of participation and provided a van to ensure all the gifts could be delivered to the charities. Support also came from other local businesses including Genesis Engines and Mattix Design of Hull and Imagen Photography of Beverley, who each provided free services to the charity project. ‘Cookie Elves’ is a fun and exciting project for the children who take part, aimed at inspiring the true spirit of Christmas among children and young people, an acknowledgment that not all youngsters may be as fortunate as themselves. The project originated in 2016 when Joe and Laura Booth decided to turn their annual cookie delivery to family into something charitable with their sons Edward (age 3) and Henry (age 1). Based on the feedback and generosity of friends and family in 2016, the couple decided to open the event up to other local youngsters from across Humberside this year. 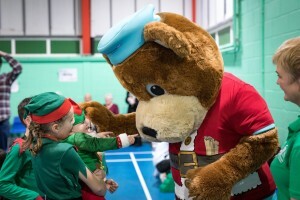 Laura said: ‘We are absolutely overwhelmed with the hard work that each ‘Cookie Elf’ has put into the event this year. We never expected a result like this, so much so we couldn’t physically fit all the presents in the van! 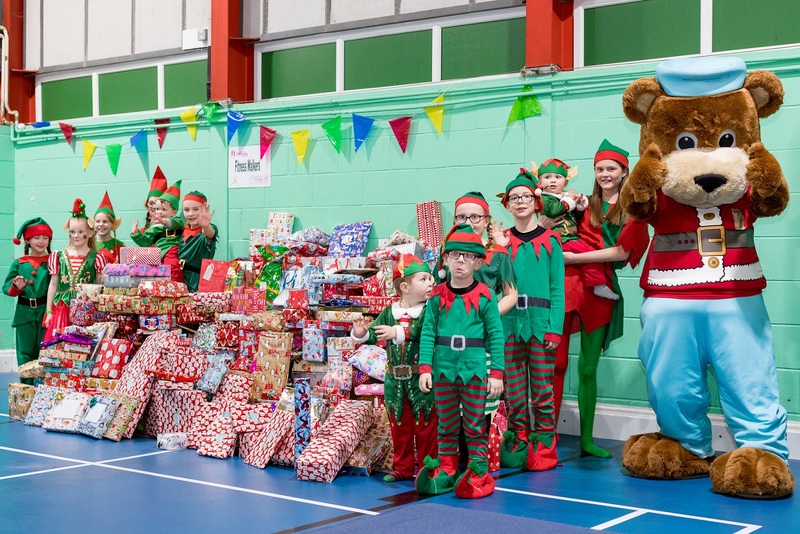 We literally can’t thank people enough, none of this would be possible without the elves, their adult helpers, the people donating presents and our valuable sponsors and supporters. Anyone interested in the project is urged to contact Joe & Laura via ‘Cookie Elves 2017’ on Facebook. It is hoped a new website for the project will live by Summer 2018.